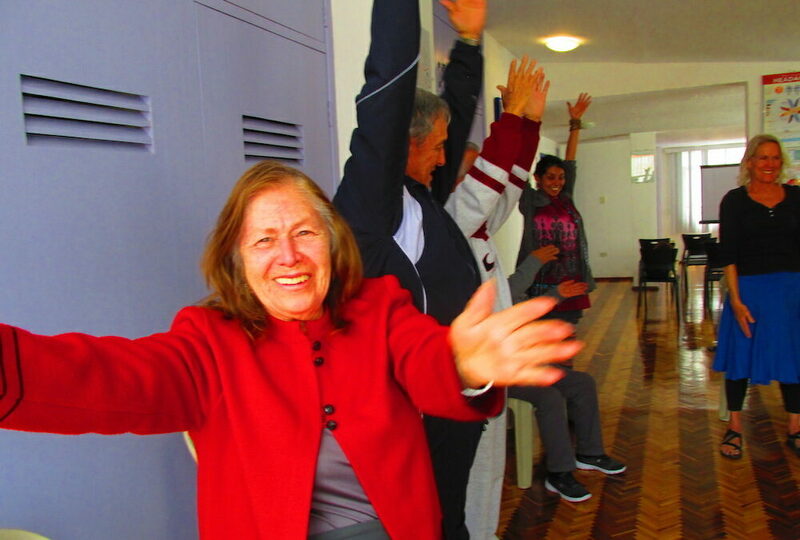 We spent some time with Alzheimer’s patients doing Move with Balance® with Music at the wonderful Nueromedicenter in Quito, Ecuador. This adult day care center is fun by a husband and wife doctor team, Lissette and Alberto. They have an art room, a gardening section, and all kinds of activities for the clients.